According to Aberdeen Group and iCMS, an efficient onboarding process can lead to a 60 percent year-over-year improvement in revenue for your company; a 63 percent year-over-year improvement in customer satisfaction; and an improvement in ROI by more than $79,000 annually. 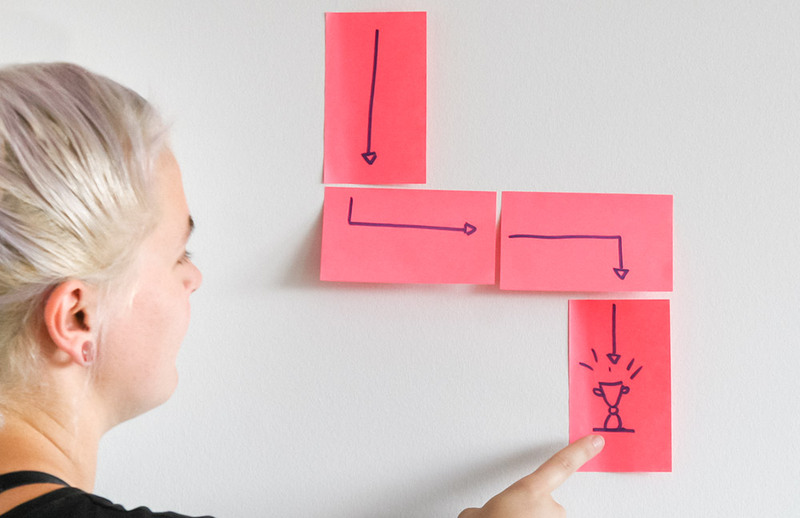 So keeping in mind that you never get a second chance to make a first impression, here's your complete guide to a successful employee onboarding process that will be sure to strengthen your retention rates and increase your employee engagement. What is Employee Onboarding Anyways? Employee onboarding is the process of getting new hires adjusted to the social and performance aspects of their new jobs quickly and smoothly. This means employees will learn three basic things during their onboarding process: First, they will learn about the culture of their new workplace. New hires will typically talk to the team and other employees a lot in order to get feedback and answers to their questions. They will learn where they can find the coffee, what the working hours are, and the attitudes their co-workers bring to the table, but also begin to see how hierarchies look and get a sense of how success and failure are defined and dealt with. Learning the culture is crucial, because culture can make or break whether the new job will be a good fit with the individual. Second, during the onboarding process, new hires learn all about the structure and operations they now encounter. Having one place where they can find all of the employee information they'll need is a huge benefit. There they can learn which phone system to use, where to read up on their benefits, how they can change their address, which person is responsible for their payroll, and how to hand in vacation or sick days. Last, new employees gain all the skills during onboarding that they need to effectively do their work. In every new job they start, people must learn new procedures, systems, workflows, and sometimes even completely new skills. These skills are often taught during the first month, but it may take several months or even as much as a year until a new employee knows all there is to know. Clearly, onboarding is more than just a phase. For employers, onboarding starts before a new hire’s first day with preparations and preboarding. The bottom line for all three parts of onboarding is that the more you make your new employees feel welcomed into the organization and the more you are able to prepare them for their new jobs, the faster they will be able to help the organization reach its goals. So now that we defined employee onboarding, let's take it one step further and differentiate employee orientation in comparison. For new hires, employee orientation is a one-time event welcoming them to your company. in contrast, onboarding is a longer process which includes orientation but goes beyond introductions, instead teaching new employees how to do their day-to-day jobs beyond the first week. Why does onboarding matter so much? The Society for Human Resources Management and TalentWise found that companies with an engaging onboarding program retained 91 percent of their first-year workers, and that new hires who went through a well-structured onboarding program were 69 percent more likely to remain at a company for up to three years. A study by the Aberdeen Group and iCMS revealed that an efficient onboarding process can lead to a 60 percent year-over-year improvement in revenue; a 63 percent year-over-year improvement in customer satisfaction; and an improvement in company ROI by more than $79,000 per year. These numbers are supported by HR.com and process.st, who found that onboarding programs can increase retention by 25 percent and improve employee performance by 11 percent. 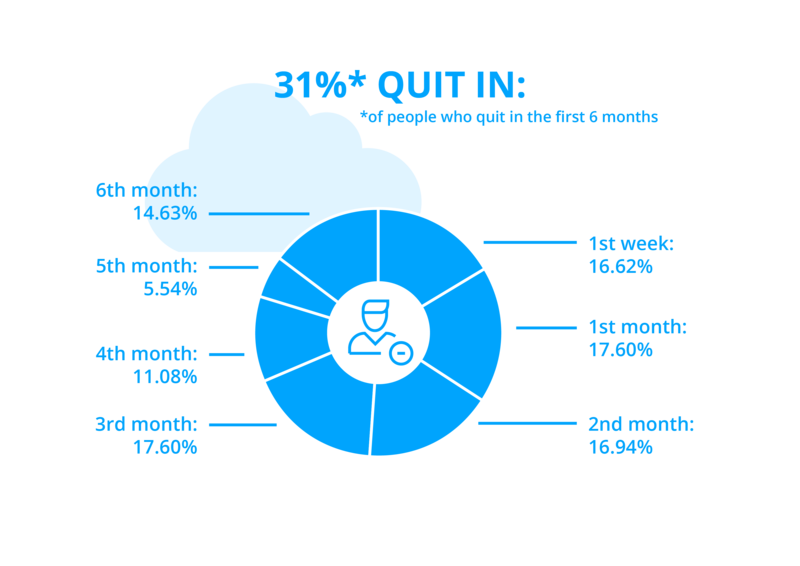 To go deeper into retention, 15 percent of employees said the lack of an effective onboarding program aided in their decision to quit, which amounts to a total of 25 percent of the entire working population undergoing career transitions each year. The Human Resources Director has found that in Fortune 500 companies alone, it has been estimated that 500,000 new managers transition into new roles or companies each year. Considering it takes 8–12 months for new hires to be as proficient as their colleagues, and that it takes 6–9 months’ salary on average to replace an employee, it’s no surprise that onboarding is such an important topic for HR and management alike. The Human Resources Director also suggests that especially for hourly workers, turnover is a major problem in the first 120 days, when approximately 50 percent of people leave their new jobs. 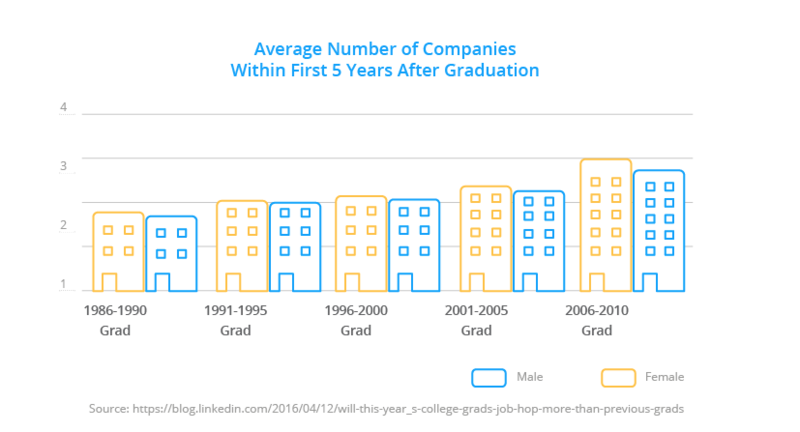 Turnover is especially high in healthcare, where people currently change jobs an average of twelve times throughout their career. Another group that's highly affected by onboarding are millennials. According to TinyPulse, 49 percent of millennials want a better onboarding process, 21 percent of millennials have changed their job within the past year, and another 44 percent plan on leaving their current employers in the next two years. A Randstad survey additionally estimates that millennial turnover costs the US economy $30.5 billion annually. With millennials making up a majority of the workforce, it’s essential to improve the process. One thing is very clear from all of these numbers: Onboarding isn't just something HR does; it’s a process that affects your company's ROI and has an essential effect on employee engagement. It’s a topic you should be thinking about—starting now! Preboarding is essentially the phase that comes before onboarding and it addresses a problem that many companies have when people sign a contract only to break it before they even begin because they've received another offer or have simply gotten cold feet at the last minute. The aim of preboarding is to connect with the new hires regularly after a contract has been signed and to establish a relationship and a feeling of belonging even before their first day. There are several things that can be done to reach this goal. During preboarding, share important information about the company as a whole; for example, its values and goals. Really let the person you just hired know what kind of company they're joining. 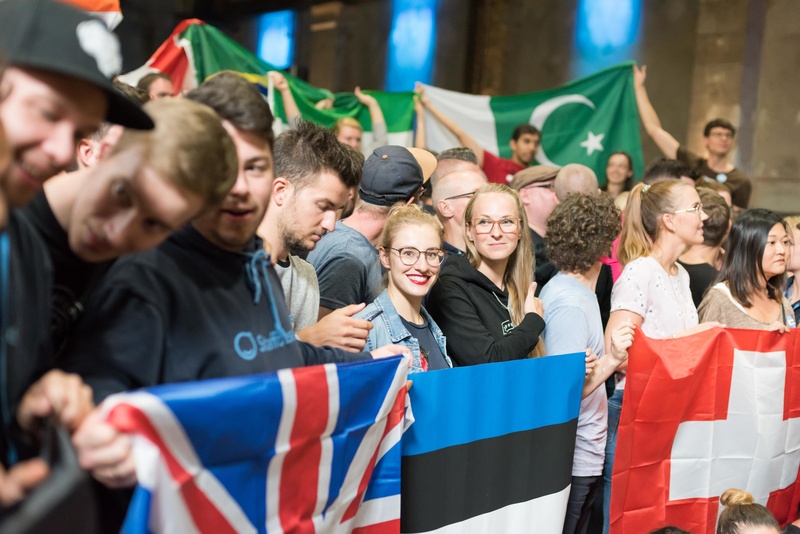 In addition, present opportunities for further education and training right from the start, and connect your hire with people from their team who are fans of the company and can speak about their positive experiences. Don’t forget to be available for questions whenever needed, and to answer as many of them as you can in advance. Consider which questions you could ask, too. For example, do the children of new hires need a place in a nursery or kindergarten? What are the core working hours and in which time window can a new employee work according to his or her own time requirements? Finding things that you can take of their hands is likely to make them feel all the more welcome. 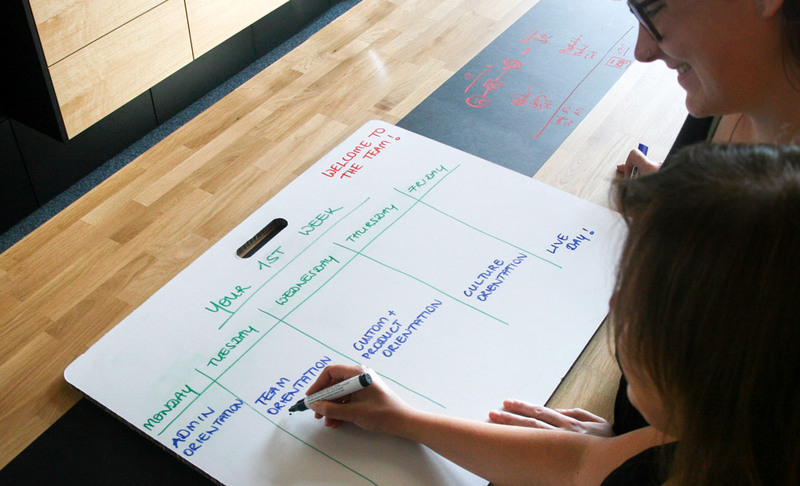 Set regular appointments to further discuss expectations, job goals, and organization charts. On an operational level, don’t forget to order all of the equipment needed (telephone, computer, email account, IT authorizations, keys, wifi password, name tags, access to systems, etc.) so that everything is ready to go on the first day. And last, inform everybody that the new hire is starting! There is nothing worse than co-workers being oblivious. If you would like to see how B.Braun—a leading manufacturer of medical technology and pharmaceutical products—handles preboarding to increase their employee retention, read the full case study here. The first day can be hard. And that goes for both sides. We all remember the awkwardness of starting a new job. So try to make it easy. Have the workplace completely set up in the morning so that your newbie can get comfortable at their desk or locker right away. Secondly, try to introduce as many new people as possible right away and make sure that everybody is super welcoming. It’s essential that new employees feel included and are encouraged to ask their co-workers for any help they might need. To make the first day even better, create a welcome package and take your new people to lunch with their colleagues. And finally, don’t forget to create a checklist for the first day, including time to meet people as well as getting started on the basic setup for daily work, like signing in to all of the necessary tools and systems, learning basic data security, and touring the office. Onboarding doesn’t end after the first day or week. The first month should help employees to gain a broader overview of services and products. In order for this to be possible, set up an environment in which a new employee can visit each team, learn about their goals, and find out exactly what they do. If you sell something, let new hires join sales calls and product meetings; if you produce something, let your new hire see the production halls. The aim during the first month is to create a holistic sense of what the company does and who is involved in doing it. Also, give more comprehensive IT instruction and check regularly to see if any hard- or software is missing. Encourage the new hire’s buddy to schedule weekly meetings in which open questions can be asked and new tasks can be discussed, as well as delegating work for extended tasks. And lastly, foster discussions between new hires and their superiors regarding mutual expectations, so as to not miss the boat if and when something goes wrong. Over the first year, onboarding moves its focus from orientation tasks and goals to full-on integration. Make sure that every new employee is invited to introductory events, workshops, information days, and team days. Encourage active team building, knowledge transfer, and further training so that the new employees can be their best. Also, don’t neglect opportunities for professional networking and all of the benefits it offers, while remembering to keep corporate goals and strategies in view. Implement basics prior to the first day on the job: Know what your newbie will do and have everything set up. Nothing is worse than a new person who already feels awkward sitting around with no task or direction. Don’t forget that this setup should include a checklist, a buddy or mentor, and all the hardware and access needed to get started! Also, take into consideration that everyone's different, so don’t make the process too stagnant but rather adapt it individually. A introvert might want you to introduce them to colleagues, an extrovert might be fine walking around by themselves. Engage key stakeholders in the planning. No matter whether you're working in HR or Internal Comms it’s key to include future teammates as well as management—and really the whole company. It starts with simple things like introducing your new employee to everybody on the first day, but it can go as far as specific tasks and goals that everybody knows and agrees upon for future development. Make the first day on the job special. Choose unique onboarding processes and reinforce the decisions that new hires have made about their future. During your new hire's first week, ask them about their expectations. Now is the time to get on the same page. Determine how aligned your new hire's perceptions are about their specific role and the organization as a whole. Failing to address the expectations of a new employee can be the first step to them thinking about a different job that better aligns with their goals. Have a plan mapped out for the first week. Get you template for the first week below, and learn how you can make onboarding as engaging as possible! Recognize onboarding takes place over time and use milestones. 30 – 60 – 90 – 120 days on the job and up to one year after entering the organization. We all like to know that we're appreciated, and setting these milestones as well as celebrating them helps employees to feel valued. Assign a buddy. Emphasize relationships as a foundation for success. Having a buddy or mentor helps new employees find their way around. In comparison to just getting assigned an HR persona, it makes sense to have a role and a leadership buddy. The role buddy is somebody who holds a similar role in the organization and can explain the daily ins and outs of the job as well as answering basic questions. The leadership buddy is the person the new employee can talk to once a week about goals, tasks, and objectives. Create a space and time for feedback from both sides. Regular feedback is extremely important, especially for millennials and Gen Z. The young workforce thrives on communication and constant evaluation. So give them a stage to get this feedback; for example, with a weekly or monthly meeting joined by their leadership buddy and the team lead. In addition, encourage feedback in your chat tools such as Slack, and present an opportunity for anonymous feedback in your employee app. Utilize technology to facilitate the process and make core information easily available at all times. Having the right tools in place can make onboarding infinitely easier, and helps both HR and the newbie. Scroll down to the tools section to get all the details. Improve your process over time. As with every process, the key to getting better is regularly evaluating and improving what you're doing. So launch surveys for your employees on the onboarding process and keep educating yourself on what's new in the field. You should never stop learning! At TINYpulse, new hires are celebrated by popping open a bottle of bubbly on their first day to show them how excited the company is to have them. This is a great idea because not only do new employees feel immediately appreciated and welcome but they will also meet lots of people in the kitchen and likely open up a bit after a glass of champagne. Send new hires on a scavenger hunt. Through a series of tasks and company-related questions, they can learn about the organization’s history and culture. Not only will they learn new things, but they'll also feel like they're achieving something with every new step. This hunt can either be hosted on your digital channels or be set up manually. There is no limit to your creativity! A bootcamp is normally the time a new hire spends at a company before they actually sign a contract, but a bootcamp can also be an ideal way to get to know different teams and departments. Have new hires spend four to six weeks cross-training with other teams to eliminate cross-departmental animosity. At Lever, the whole team creates a welcome GIF for a new hire, which is then sent to everybody. Not only is this super fun to make, but it also serves to introduce new employees to their colleagues and vice versa. A welcome note like Apple's famous example can also help to give the first days a personal touch and make the employee feel welcomed. If possible, have your CEO or team lead write a personal card! Going to lunch is so weird when you don’t know anybody. It’s often one of the biggest sources of discomfort in the first few days at a new company. Playing lunch roulette, or “linder” as some companies like to call it, is great way to make sure your new employee has a different lunch date each day and that they're never left standing in the rain. It might also help to give your employees maps or guides that show the area's best lunch places. Take into consideration that not every new hire knows their way around. Ask your new employees to answer 20 unusual questions about themselves and publish them in your employee app to encourage discussions. The questions can be super fun, and they can even be somewhat personal, but they should center on a new hire's career. Just a simple “Tell us one thing you think makes you unique” can already be a great ice breaker and conversation starter. A personal favorite of mine would be, "What’s your favorite dinosaur?" As we've seen at Staffbase, team events are a great place for employees to get a first impression of their new company. Every employee who has already signed a contract with us is invited to our annual team event, the Staffbase Camp. These two wild days are a great opportunity to get to know everyone and they can make new employees feel far less alienated when they arrive for their first day in the office, since they already made some connections to the people with whom they will work. Give your new employee a survival kit. This box might contain local specialties; a notebook; a map of town with the best lunch places; an org-chart with all the names and faces; team wear, such as hoodies; coffee for the first week; cafeteria vouchers; company merch; or maybe even some slippers to wear in the office. It's the little things that can go a long way. 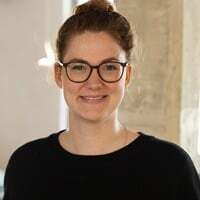 The Kaffeklatsch, a cake and coffee date that is a German tradition, is a communal event were employees can tell fun stories about their jobs, describe previous team events, discuss old traditions, and think about new aims. New employees will quickly feel like a part of the team, and they won't be left out of inside jokes. Plus, cake. Gamification as an onboarding strategy serves two main objectives: to make training fun, and to accelerate the pace of learning. Find all the information on how to use gamification during onboarding here. Personio helps HR professionals make onboarding easy on both ends. The platform holds each employee's personal data and enables them to edit it themselves, as well as enabling each person to hand in their vacation and sick days. Working students can set their working hours, all employees can see their salary for the coming month, and the self-service systems take loads of work off an HR team's hands. Staffbase enables internal communicators to really make a difference in their organization. Including during the onboarding process! As discussed, it's imperative that all the documents and guidelines your new employees will need can be found in one, easily accessible place. While traditional intranets often try to do this, the reality is often too complex and rarely do intranets have the ability to make such material available "mobile-first," which is to say, on the smartphones of every employee. 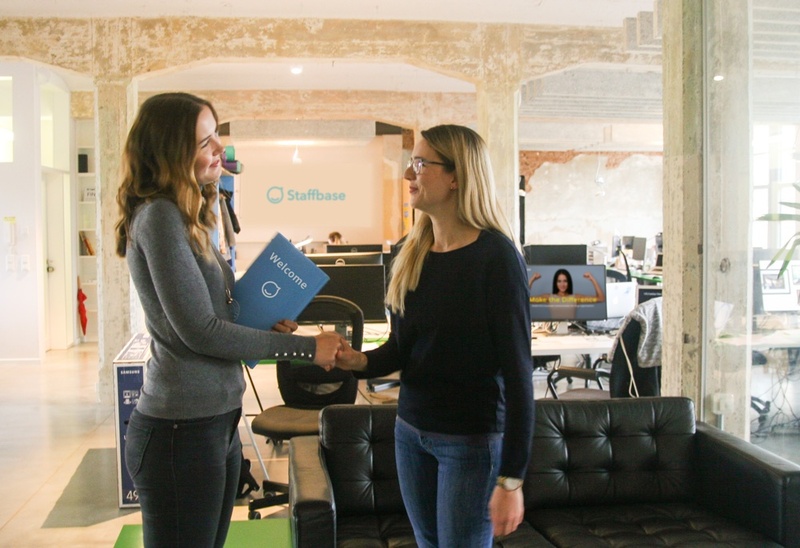 Staffbase is the number-one mobile-first employee app for internal communications. Static pages make it easy to provide your employees with information they need daily; push notifications can be sent as reminders of milestones, and the birthday chatbot sends greetings to each employee on their special day. In addition, the app enables you to take surveys on the onboarding process, and provides a space where new hires can be introduced to the whole company. 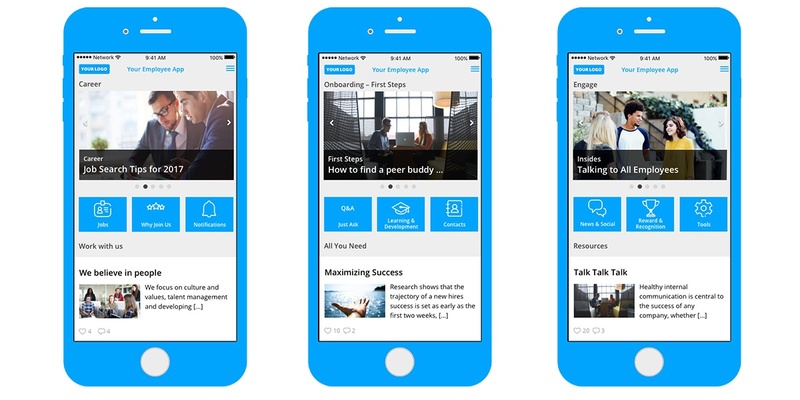 Further on in the employee life cycle, the platform makes training easier via sharable videos or podcasts (a feature which can also be used during preboarding). Slack is the perfect tool for interaction and transparency in internal communications. 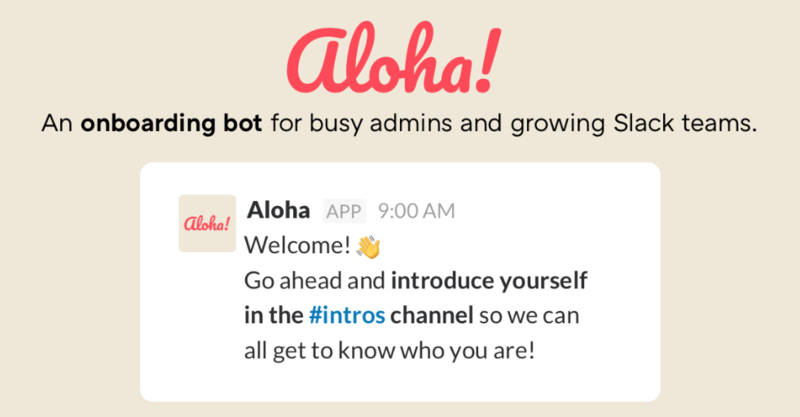 It features a specially designed chatbot that helps to welcome new employees, who can also choose the channels they wish to follow, while being automatically assigned to those that are essential to their jobs. Slack makes it easy to quickly get involved in the office discourse and chit-chat that is so vital to a thriving company culture. The platform is also ideal for soliciting first feedback rounds, as well as for getting input from remote team members. Trello is the perfect tool for detailed project planning. Each team can have their own board with different columns. Each card in the column can have notes, links, pictures, mentions, and dates. 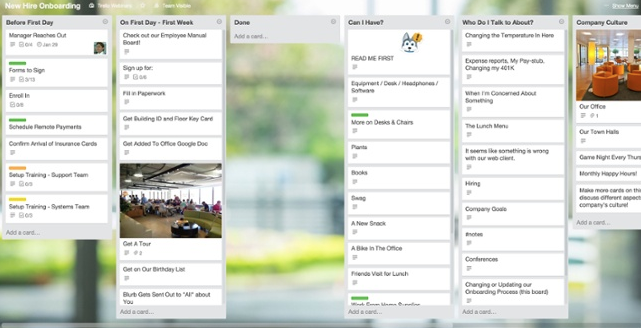 Trello's long list of features make it a great onboarding tool for the first week, but the platform is designed as a long-term planning tool for teams as well as personal organization. If all of this seems like a lot, consider expanding your onboarding plan from one day to one week. As noted above, a great onboarding experience is likely to have an even longer timeline than that. But expanding the process to a week provides a firm foundation for your new hires—and it's a great learning opportunity for HR leaders. Get four exclusive hacks for employee onboarding and your template for the first week here. The more you make your new employees feel welcomed into the organization and the more you're able to prepare them for their new jobs, the faster they'll be able to help the organization reach its goals! So get your creative and organizational juices flowing and start making your new people feel welcome from the moment they come into contact with your company. It's possible to make all the difference for somebody on their very first day!